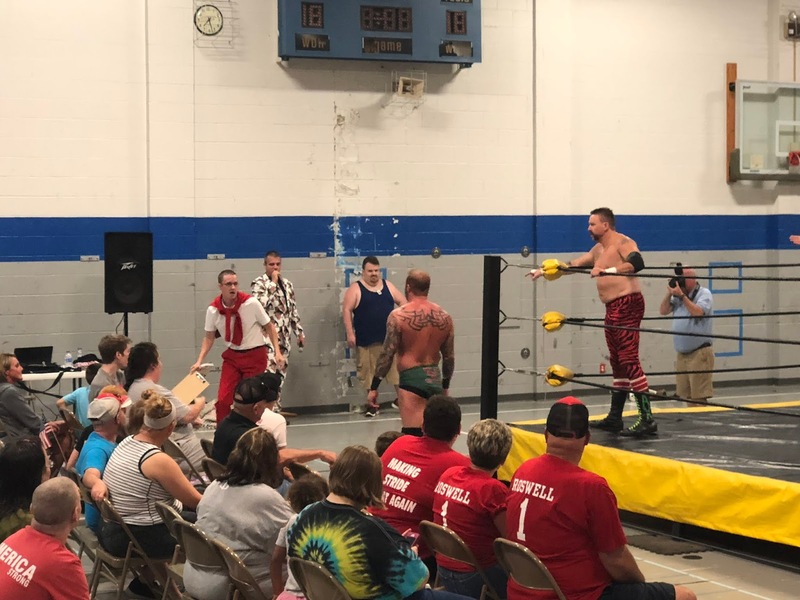 After a two-month summer break, Stride Pro Wrestling has returned in full force. On this week's My 1-2-3 Cents Podcast, which drops Monday, August 6, there's a full recap of what happened on the show and a look ahead to this Saturday's fundraiser show at Eldorado High School. 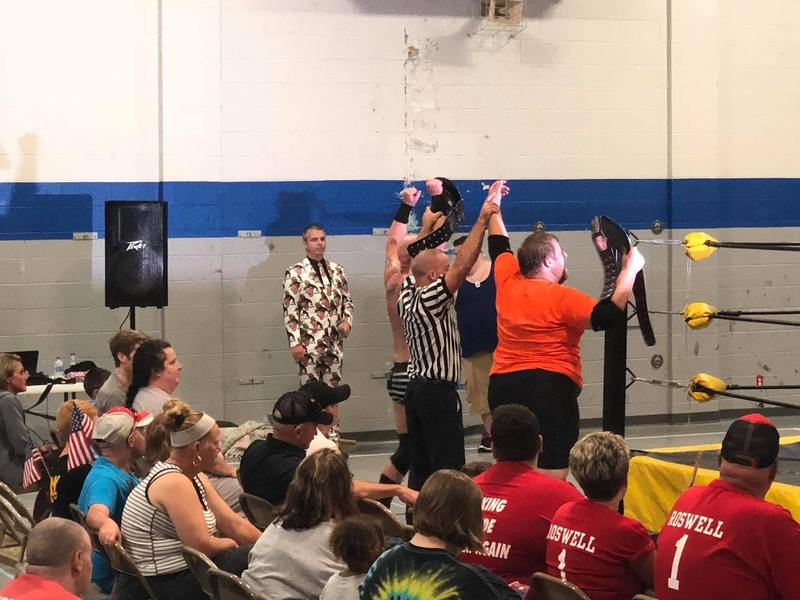 New tag team champions were crowned over the weekend. 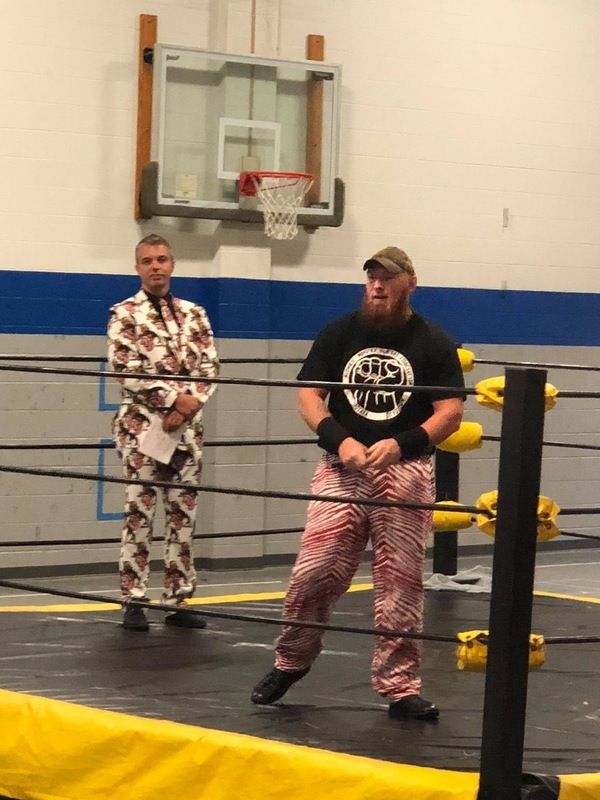 Bo Sawyer coyly led the champions, Ax Allwardt and Heath Hatton to the ring. Bo told the audience his partner for the night, Blaine Black was not going to be there and he had an idea. 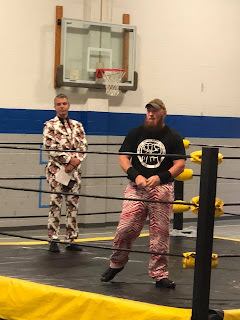 He was sporting a pair of Zubaz (anyone who grew up in the 80s and early 90s knows that those are all about.) Bo tried to convince Hatton and Allwardt to let him joins forces with the champs and create a trio of sorts. The champs listened intently only to be distracted long enough for Jason Tiller, another member of the Midwest Monster Hunters, to hit the ring and jump Hatton and Allwardt. This created an early advantage, but as we've seen before Hatton and Allwardt are far from being pushovers. The champs fought back hard and had a highly competitive match. 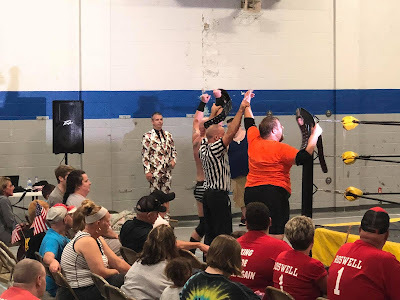 Just when it looked like the titles would stay with the good guys, J. Wellington Beauregard, who helped the Monster Hunters win the tag team titles for the first time in April, caused more distractions along with his new assistant, Mr. Anthony. As Hatton chased the two outsiders away, Tiller and Sawyer double teamed Ax and choke slammed him to the mat. It was enough for the titles to change hands. Now for the second time in Stride history, there are two-time tag team champions in the Midwest Monster Hunters. 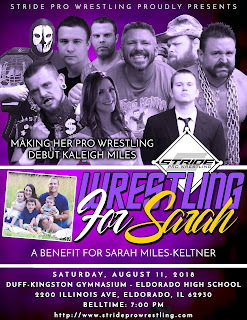 Their next challenge happens Saturday, August 11 at the fundraiser for Sarah Miles-Keltner. The duo defends against Daniel Eads and Arron Brooks. This new team will be a formidable challenge for sure. We'll see you at 7 p.m. at the gym at Eldorado High School.